$3118.57+ Sn0wCR- 5th Generation - BIG RED!!! 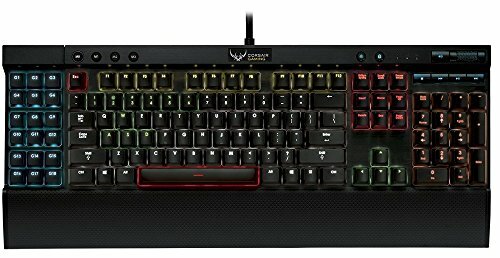 Great functionality with the controllable keys to the left, and great feel with the Cherry RED switches. Stylish, too. This is my first mechanical keyboard. It has Cherry Reds. The software it comes with is pretty powerful on its own, and there is an SDK that you can toy around with if you're looking to be a poweruser of your keyboard's LEDs. I downloaded it but haven't had the time to mess around with it. The main issue is that sometimes the keyboard doesn't work when the computer boots up from an off state (not sleep mode). For me it's not enough for me to want to return it as I can easily access the on-screen keyboard to log in to get the keyboard to become recognized, but I do think I'll look elsewhere as it's a problem that I could just not be having. A smaller issue is that only 'basic' types of LED functionality work from the hardware alone. Gradient types require the application to be open, and can lead to your keyboard looking kind of funny for instance when booting your computer up. 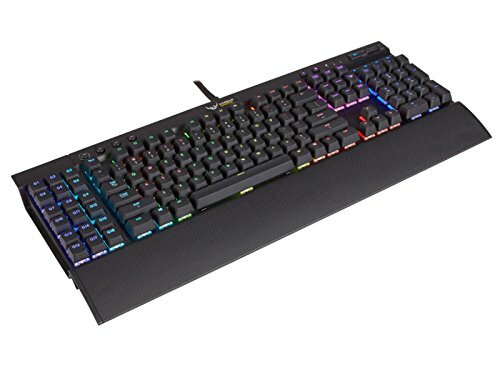 Best keyboard on the market sub $200 in my opinion. 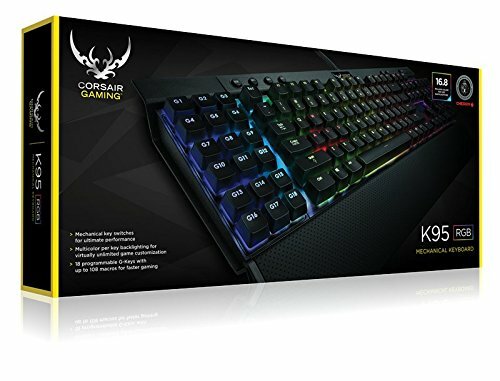 Only difference between it and the K95 platinum were this one has A LOT more macro keys and a slim rgb bar on the keyboard itself which I didn't care about, and usb & audio pass-throughs. The macros more than make up for it. If you're streaming, the extra macros basically double as a stream deck and there is no need to buy it separately.